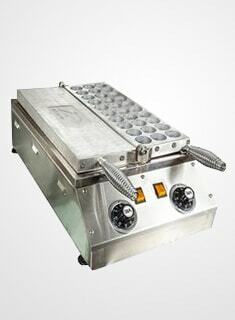 Our electric Deep fryers are equipped with high quality stainless steel material. Electric and gas models available. Equipped with snap-action thermostat for precise temperature controlling. Non-block oil valve installed for fitting food fragment. With light indicator for easy observation of work condition. Food grade #304 stainless steel basket and heat-insolating handle for safe operation. Controlling panel can be removed from oil tank for easy maintenance.